Over the past 16 years, an extraordinary group of musicians has come together to celebrate the universal power of music. Named for the ancient trade route linking Asia, Africa and Europe, The Silk Road Ensemble, an international collective created by acclaimed cellist Yo-Yo Ma, exemplifies music's ability to blur geographical boundaries, blend disparate cultures and inspire hope for both artists and audiences. 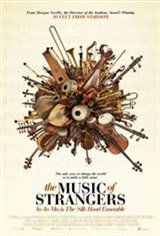 This documentary follows an ever-changing lineup of performers drawn from the ensemble's more than 50 instrumentalists, vocalists, composers, arrangers, visual artists and storytellers as they gather in locations across the world, exploring the ways art can both preserve traditions and shape cultural evolution.